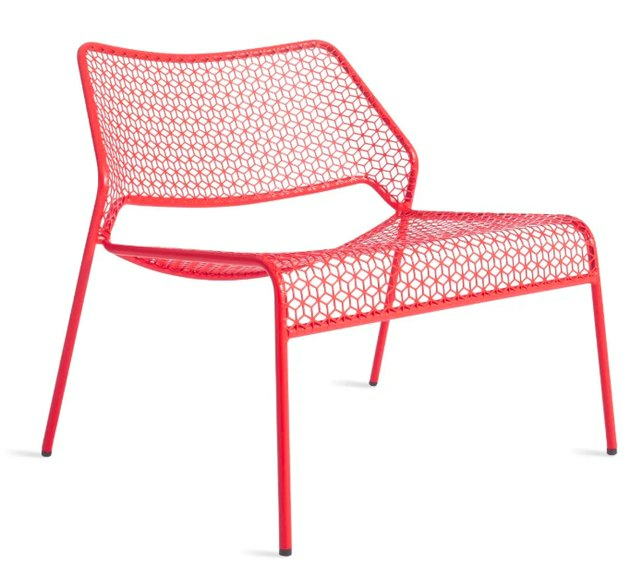 Blu Dot's midcentury-inspired lounge chair could easily jazz up a bedroom corner. 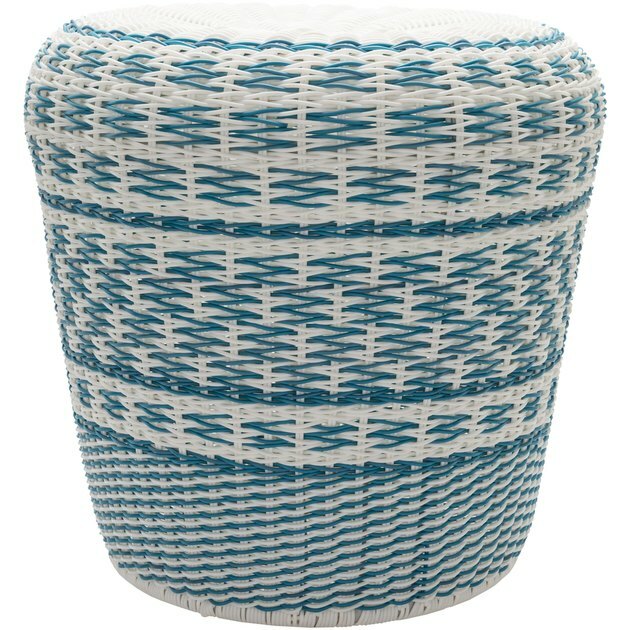 Give your living room an earthy update with a couple of these accent tables from Opalhouse's outdoor line. 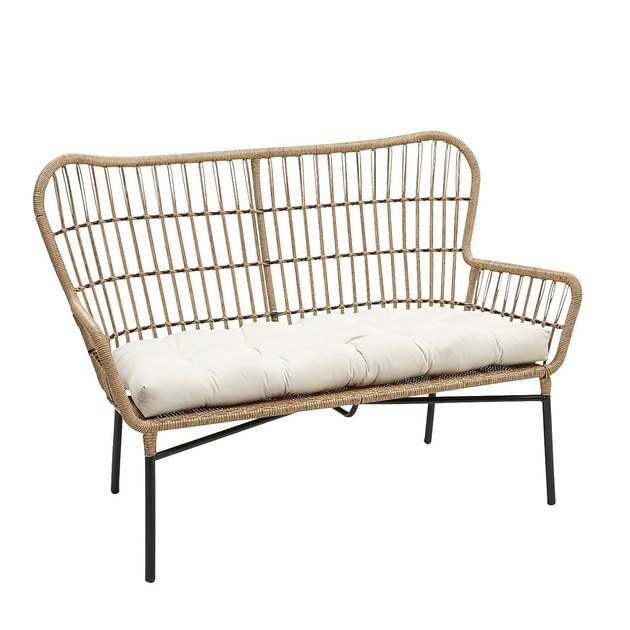 Rattan is the magic material that makes interiors and exteriors look so good. 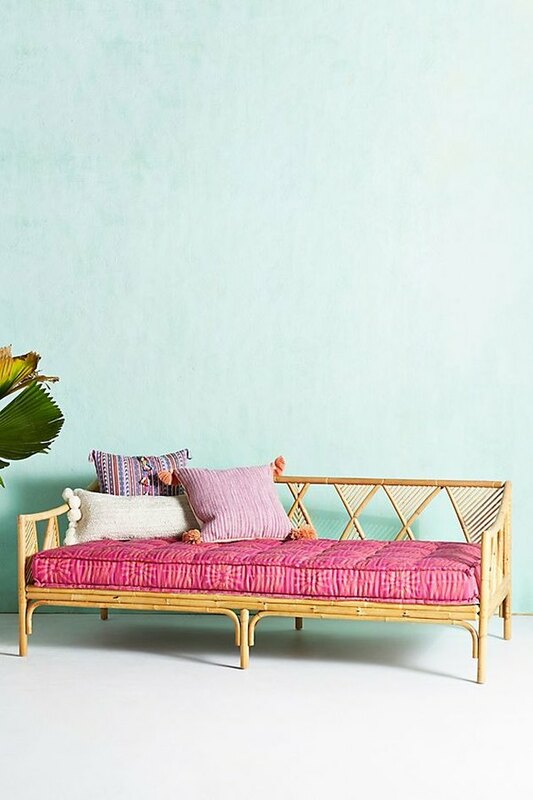 Yes, this boho-chic daybed is totally weather-resistant, but me thinks your indoor office could use a touch of flair. 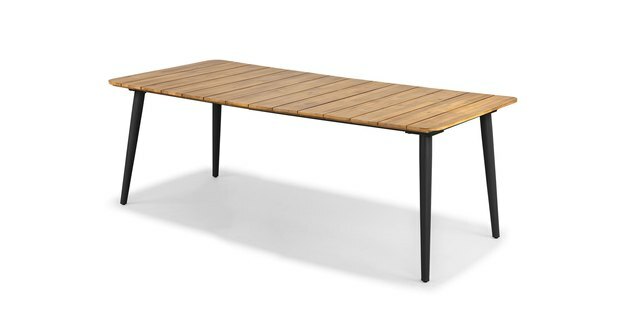 Here's a fun thought: Give your dining table a picnic-y feeling to add an element of surprise to your design. 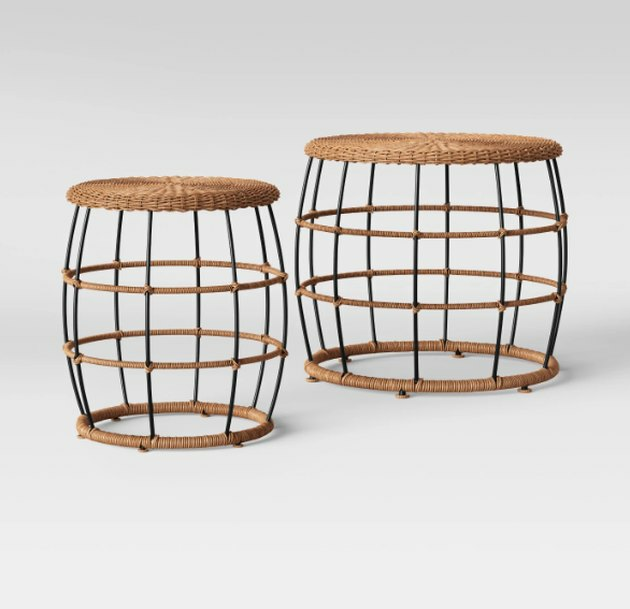 These nesting tables come as a set of two — add one to a fun corner inside, and another to your patio! 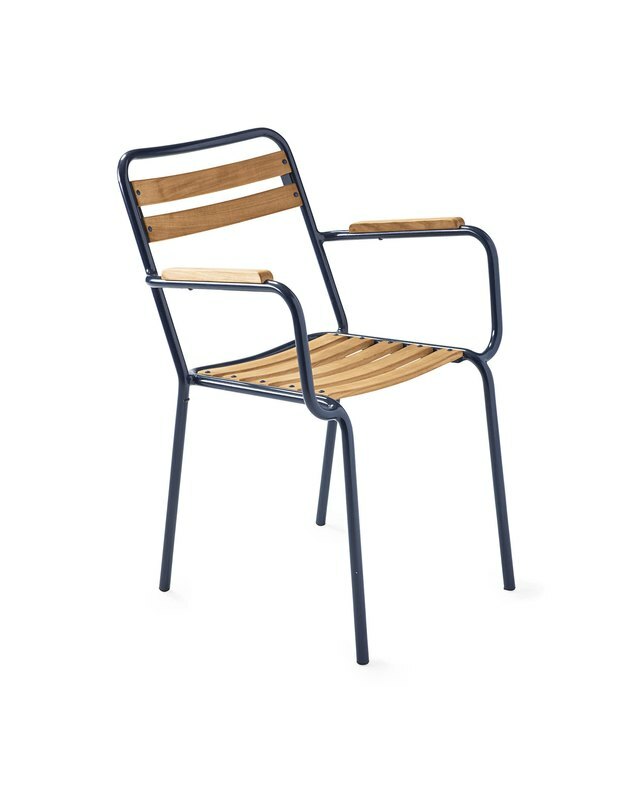 Just like that dining table, these wood and metal chairs placed inside would be something new and fresh we don't see very often. 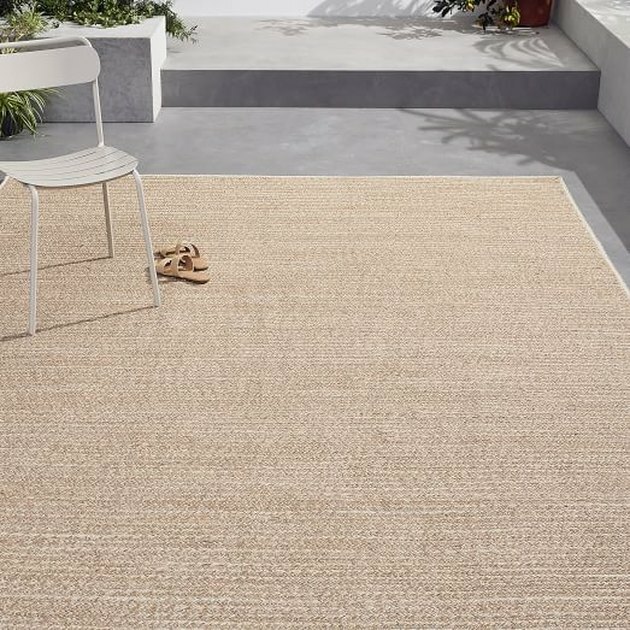 Hmmm we're starting to wonder if outdoor rugs actually cost less than indoor rugs, and could that be a cool shopping hack? The 9-by-12 version of this one will only cost you $489. Squeeee! 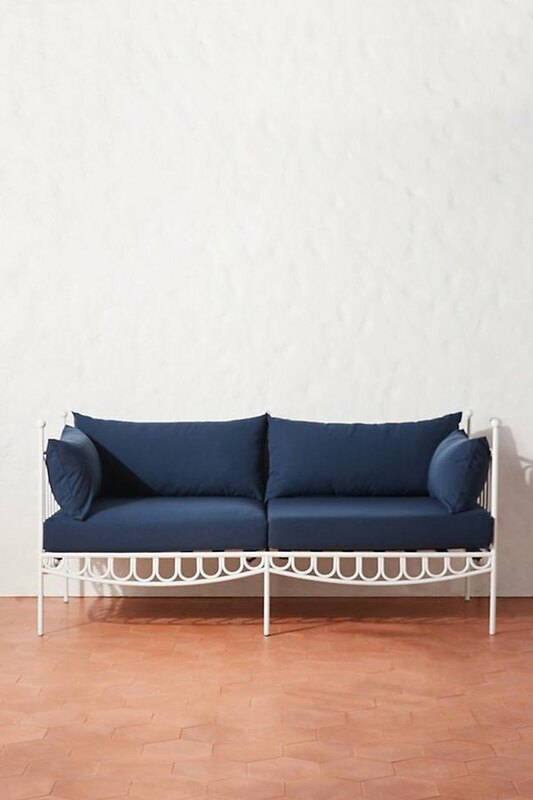 This Anthro loveseat is just so cute! It would be really fun in a girly bedroom. 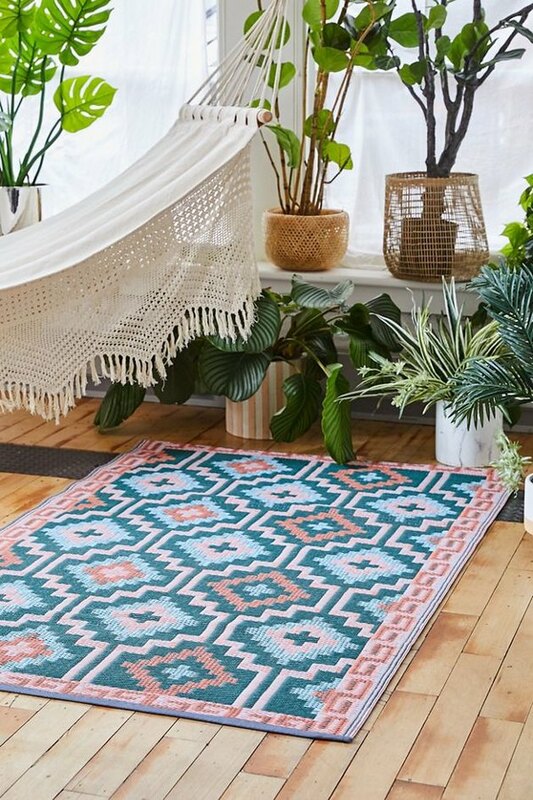 Going for Jungalow vibes inside? 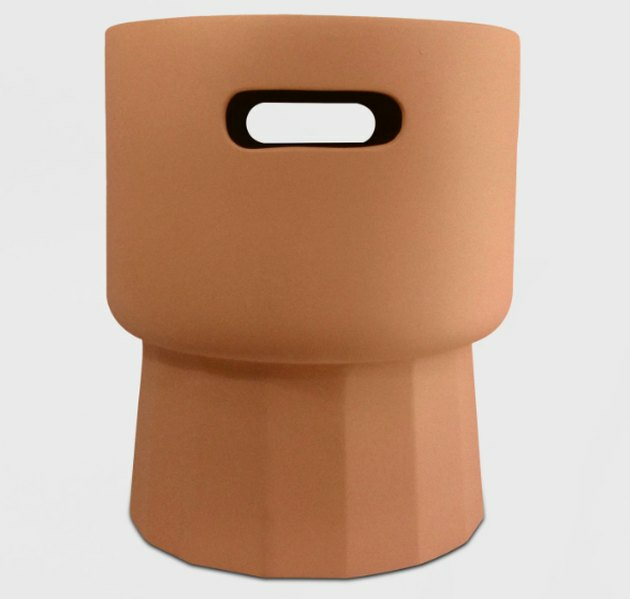 This stool will add pattern and color. 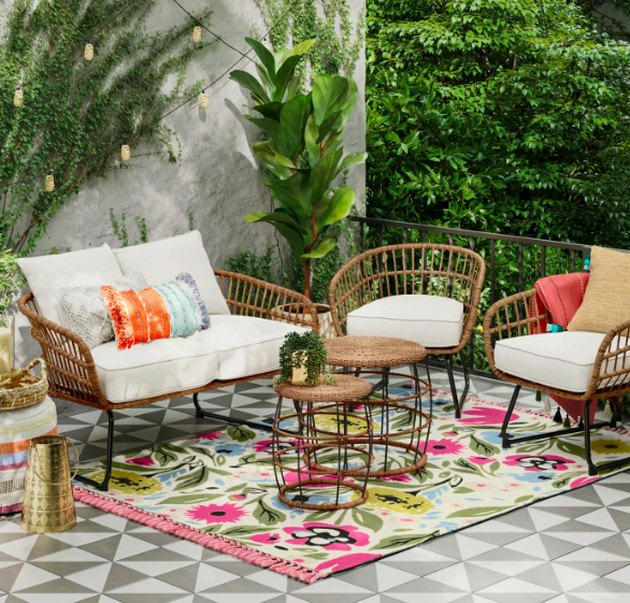 Yep, this mat is kinda funky, but it's affordable and reversible, so you can either flip it over or actually push it out to your patio when you're ready to do an edit of your indoor space. 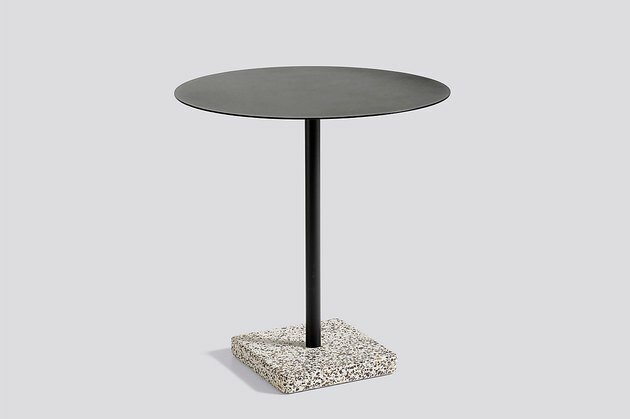 For your teeny, tiny breakfast nook, consider this table with terrazzo used as a base. 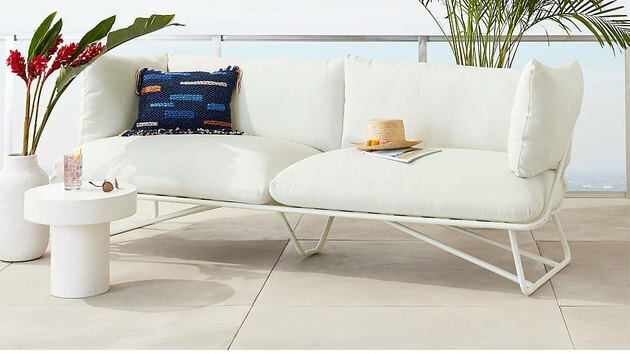 Honestly, if you had this in your living room, we'd never know it was meant for a poolside setup.